Individually identified lions (Panthera leo) were observed on the open, semi-arid plains in Namibia. 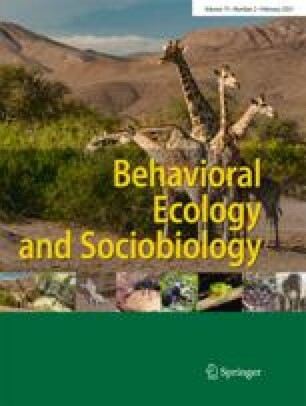 Data from 486 coordinated group hunts were analysed to assess cooperation and individual variation in hunting tactics. Group hunts generally involved a formation whereby some lionesses (“wings”) circled prey while others (“centres”) waited for prey to move towards them. Those lionesses that occupied “wing” stalking roles frequently initiated an attack on the prey, while lionesses in “centre” roles moved relatively small distances and most often captured prey in flight from other lionesses. Each lioness in a given pride repeatedly occupied the same position in a hunting formation. Hunts where most lionesses present occupied their preferred positions had a high probability of success. Individual hunting behaviour was not inflexible, however, but varied according to different group compositions and to variations in the behaviour of other individuals present. The role of cooperative hunting and its apparent advantages within the semi-arid environment of Etosha National Park, Namibia, are discussed.